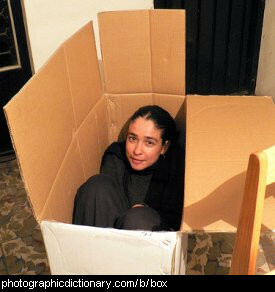 Things you can put other things in. 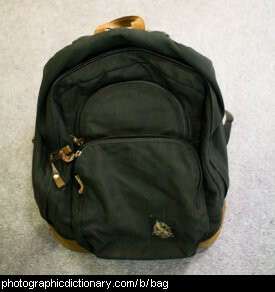 A bag is a container with handles that you carry around with you. You can put all sorts of things in a bag, depending on how big it is. School children carry their books in a bag on their back. 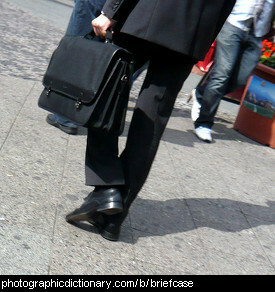 Women carry lipstick in small bags that they carry in their hands or over one shoulder - usually called handbags. 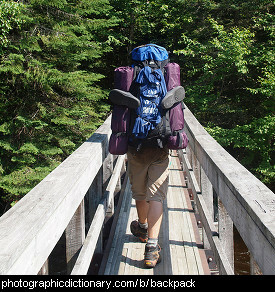 The biggest bag is a suitcase that you pack a lot of your clothes in when you go on holidays. 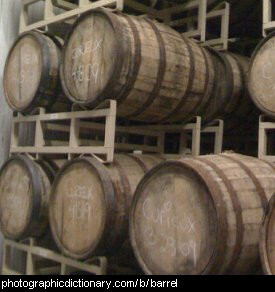 A barrel is a large container made from wood and bound with metal hoops to hold it together. Wooden barrels used to be used for storing and transporting anything that could fit in a barrel, but today they are only used for making and storing wines and spirits. 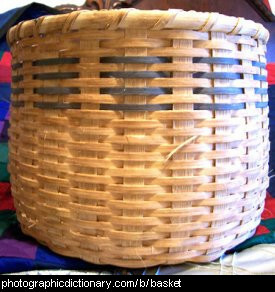 A basket is a container that is woven, in a process called wickerwork. Baskets can be made from thin willow branches, bamboo, plastic or wire. A bin is a container for storing things in. 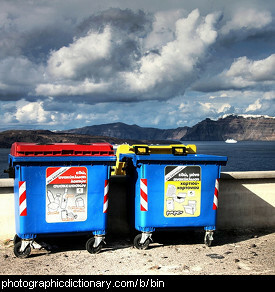 Many bins are used as trash cans, but bins can also be used to store , fuel, or virtually anything. 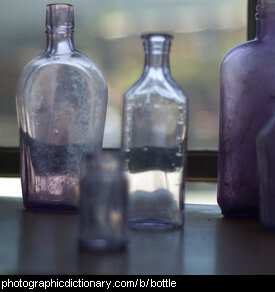 A bottle is a container with a long neck that is used to store liquids like water, soft drinks, wine and even shampoo. 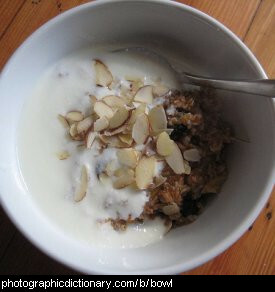 A bowl is a shallow vessel with an open top that you eat out of. Bowls are usually used for cereal, soups and sometimes noodles or pasta. 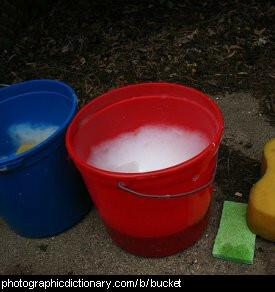 A bucket is a deep container with a flat bottom, a handle and no lid. Buckets are used for carrying things like water, dirt or fruit.